A look at the top ten (1)industrial accidents in US history reveals much that we can learn from. Death tolls, especially from the oldest of the disasters, vary, but all told these industrial accidents have accounted for the loss of from 1508-1558 lives (2). 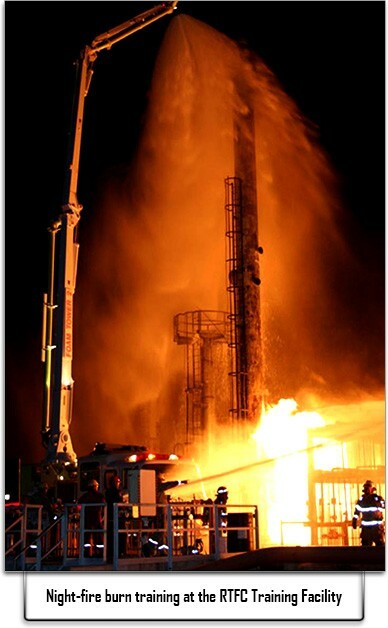 One of those disasters occurred at the Texas City Refinery in Texas City, Texas. On April 16, 1947, a fire broke out aboard the SS Grandcamp, which was loaded with approximately 2,300 tons of ammonium nitrate. 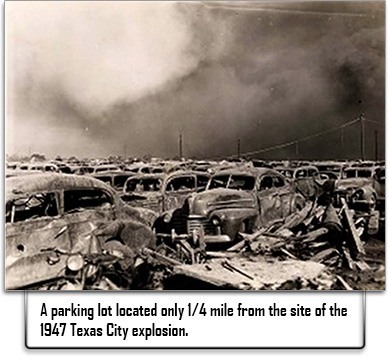 The explosion, the resultant damage, and the heat were intense enough that 16 hours later, the SS High Flyer, also carrying ammonium nitrate, exploded violently. There have been many industrial accidents since, but from this one the Refinery Terminal Fire Company (RTFC) was born a year later. At the Ready discussed the RTFC recently with Fire Chief John David Lowe, CFPS. Chief Lowe has worked at RTFC for the past 18.5 years and has been the Chief for about a year. Industrial accidents are unique, very different from the typical municipal response. Fighting a fire at Mrs. Jones’ house on Elm Street requires fewer personnel, basic equipment, and less time to contain, and she probably did not have tons of ammonium nitrate or toxic chemicals stored in her basement. Industrial firefighting, by its nature, has to be done on a grand scale and presents a myriad of challenges. The typical small or mid-size municipal department has to be prepared for the Mrs. Jones fire and the industrial challenge as well. There are 91 fertilizer plants (3), 144 oil refineries (4), and at least as many chemical plants in the United States. 10) Boston Molasses Disaster 1919 (21 dead). Estimates from Texas City range from 550-600 dead.